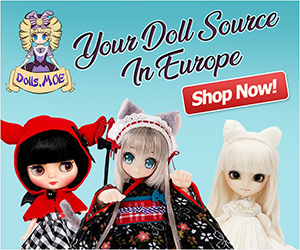 Arriving for fans February 2016 is Takara Tomy's latest doll named Neo Blythe Cherie Babette. Neo Blythe Cherie Babette is a girl who loves French fashion and it shows, since she's seen wearing an elegant white mini dress with black heart designs, but wait is that what I think it is . . .??? Yep, a baby pink bear kigurumi outfit and to top it off an adorable bow? Whoa, this release certainly is unique. French themes are always fun because it's the time when we get to see dolls wearing oh so chic outfits. Never did I think to see kigurumi and French fashion mixed together. I do like that it's a different approach to the usual model but a part of me wishes they just had Blythe wearing the pretty dress without the Kigurumi outfit underneath. Did you fall in love with the cuddly kigurumi teddy bear named Cherie Babette? 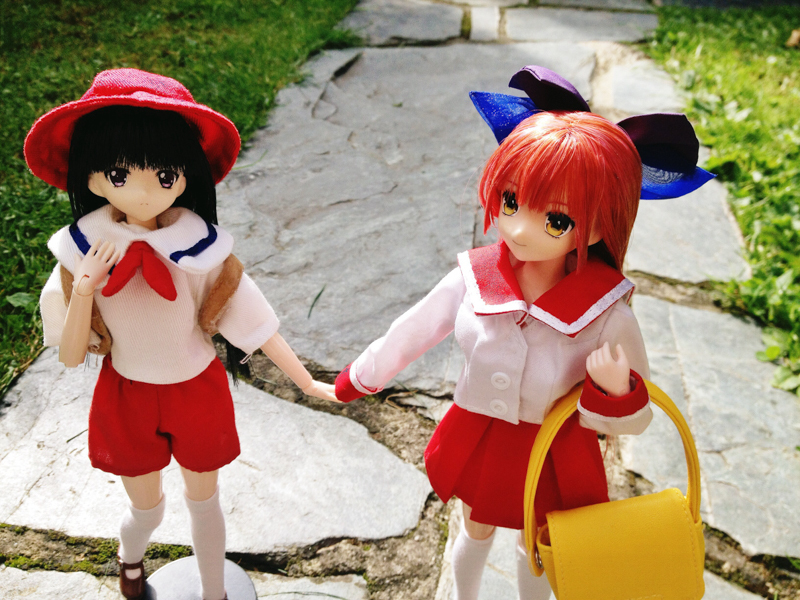 Are you a fan of dolls in kigurumi outfits? Let us know in the comment section below! Love hearing from you! 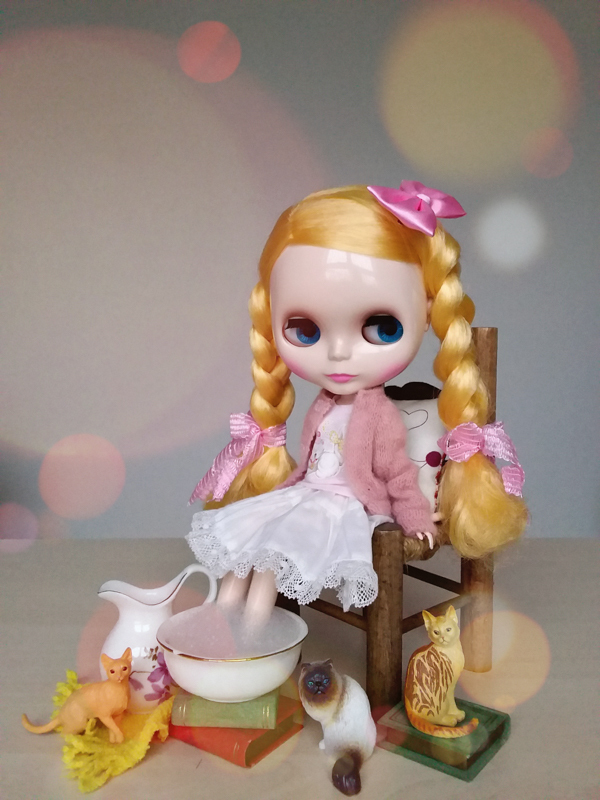 Hi, I have just received in the mail my Blythe Chérie Babette and I must admit that I’m in love. She is even more beautiful in real life than in pictures. Her dress is independent of the fur costume (yeah!) so I will lend it to another of my dolls. The Kigurumi costume is so soft and perfect, also behind the head it has two shades of pink. Everything is really high quality, I do not regret my purchase, Chérie Babette will make a nice addition to my collection! Oooh the different shades of pink sounds like a lovely touch. I’m glad to hear that her dress can be detached from the Kigurumi, that was a concern I had when she was first announced. 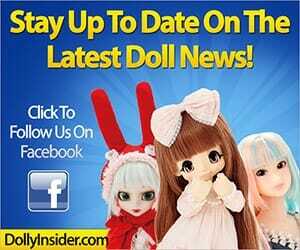 Thanks so much for taking the time to share your experience with us, we love reading about happy doll owners! We plan to have a Dolly Deliverers section on the website, were we feature doll collectors’ photos of their latest girl or boy to arrive home. Ordered a fluffy oaak artist bear from the UK on Etsy. It was named by artist for a peach champagne drink concocted in Italy, Bellini. Have to try and get Babette. Love the name Babette (ever since watched Raggedy Ann and Andy movie cartoon). Nice yellow fur detail on bear suit 😉 Brings to mind the moon bear from China, all one color with surprise yellow near its collar. Love the floppy pink bow and Cherie tag in ear. Very sweet, like Steiff teddy bears. French style is still trending in stores and I got a bed set for AG dolls with Paris theme also Etsy. Thank you so much for your comment, it was really insightful. I had never heard of Moon bears, the yellow collar is indeed a nice surprise. That’s really cool that you are ordered an oaak artist bear. The story surrounding the bears name is fascinating. 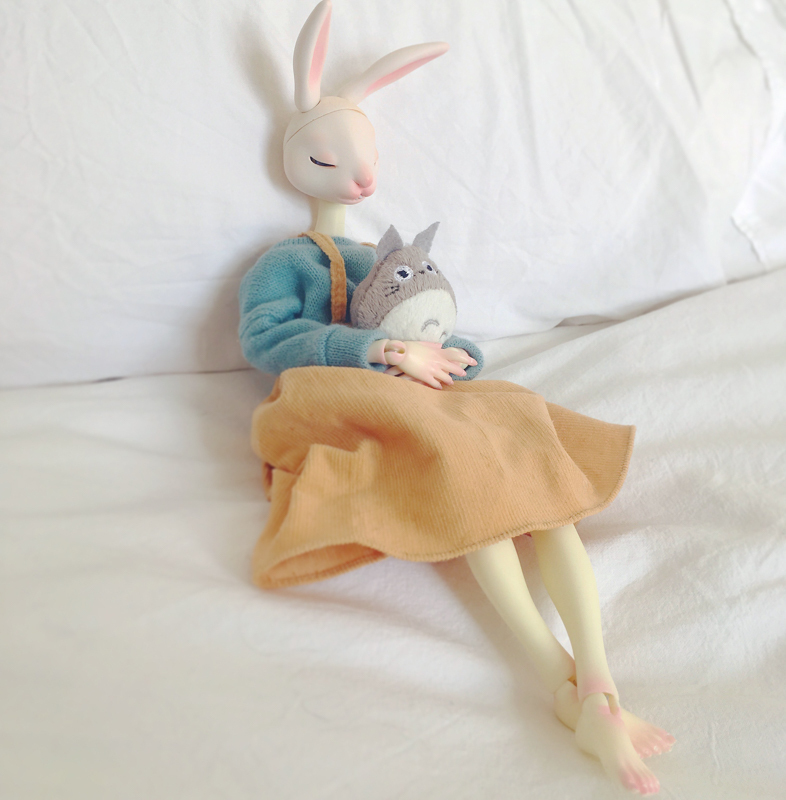 I hope you are able to bring home Neo Blythe Cherie Babette.